”After four years of very good cooperation with Pirelli, we have now switched to Michelin tires,” says Carsport’s Toine Hezemans. 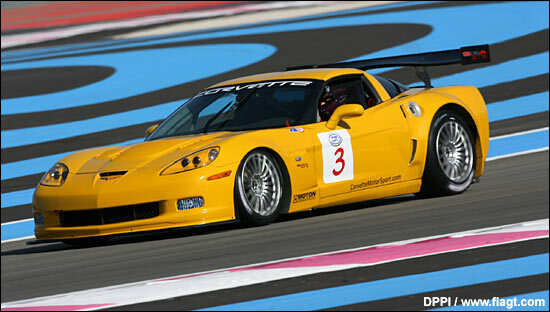 “The Corvette C6 arrived late, and there was no possibility to test the Pirelli tires .. but Pirelli has done a great job, and really makes very good tires now. But as Pratt & Miller, the official representative, has won all the ALMS and Le Mans races (on Michelins), it is for us a much more sure bet to go for the Championship with Michelin. Three will be run by Carsport – Callaway and three by Riverside. Here's the GT3 car at Paul Ricard, in the first week of March.